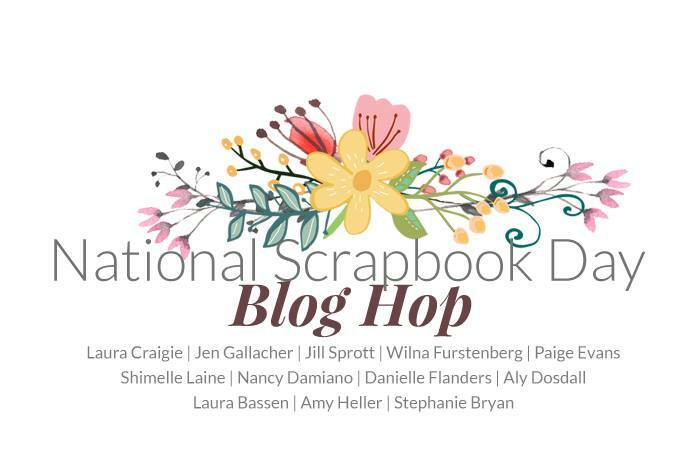 Aly Dosdall: craftsy national scrapbook day blog hop! 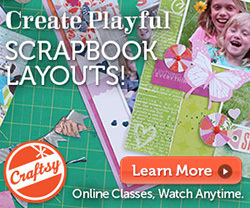 craftsy national scrapbook day blog hop! 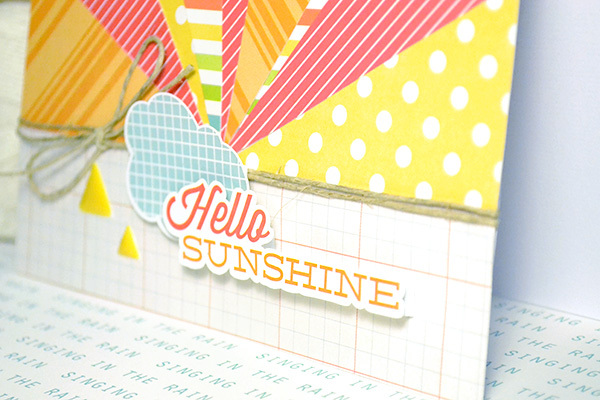 Welcome to our National Scrapbook Day Paper Craft Instructor Blog Hop, Craftsy fans! So glad you could join me for today! I'm sharing a little bit about me, plus I've got a free SVG cut file for you, a project to share with you, a giveaway with a chance to win a free spot in my Craftsy class, Celebrating Everyday Moments: Playful Scrapbook Layouts, and I've got links to many of the amazing Craftsy paper craft instructors' blogs where you'll find more inspiration and awesomeness. 9. Favorite quote right now...The only person you should be better than is the person you were yesterday. 10. Smiling about...my awesome family! 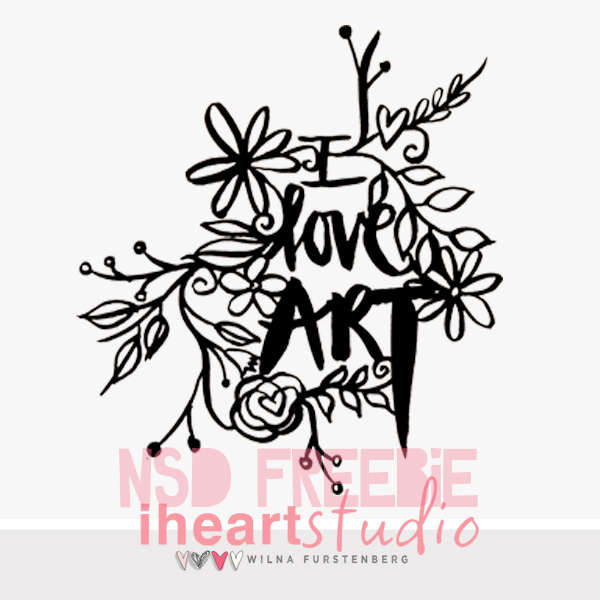 The amazing Wilna Firstenberg was kind enough to create a free SVG file to celebrate NSD today! You can download it HERE. Enjoy!! I feel passionately that life is worth celebrating, that each story is worth telling--the ordinary and the extraordinary. I love this wonderful hobby of scrapbooking because it does exactly that, but I also love scrapbooking because it celebrates the creative side of life. While scrapbooking is my first love, I find joy in creating just about anything with paper. And one of my favorite tips to help find more creative time is to recycle my favorite page designs and use them to create something else. 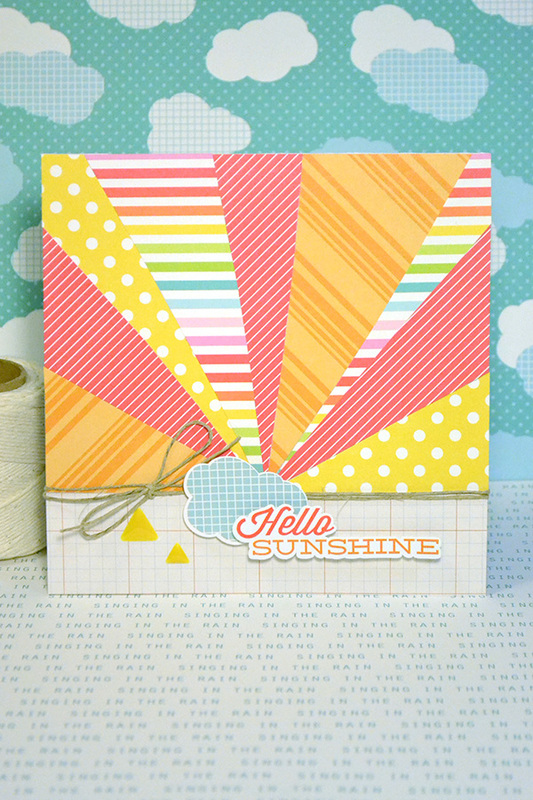 For example, here's a layout I created for my Craftsy class with a fun starburst design. A starburst design is one of my favorite ways to use up scraps, mix up my favorite patterned papers, and make a real statement on my page. And here's a card I created recently, recycling the starburst design. I saved a lot of time on this card since I didn't have to come up with a new design. Why reinvent the wheel, right? I don't always use recycled designs--sometimes it's fun to try new things, and step out of my crafty comfort zone. But recycling my designs is another tool in my crafty tool box that I can pull out when the time is right. 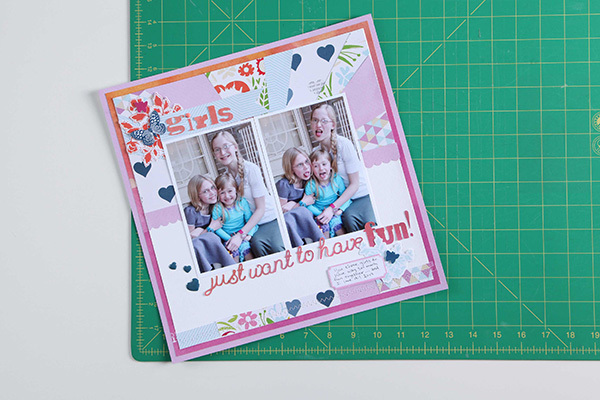 If you like this tip and fun layout design you'll love the other six layouts you'll create in my Playful Layouts Craftsy class. Each layout includes an eye-catching design and a playful technique that celebrate your everyday moments and record them in a special way. Plus, each technique you learn can be applied to cards, mini albums, and other paper craft projects. 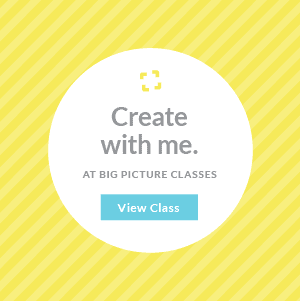 I'm giving away one free spot in my Playful Layouts class to one of you fabulous readers. If you'd like to be considered for this giveaway leave a comment below telling me one of your favorite paper crafting tips. Comments will close Thursday, May 7th at midnight (Mountain Time) and I'll announce a random winner on Friday, May 8th. Good luck, and don't forget to check back to see if you won! 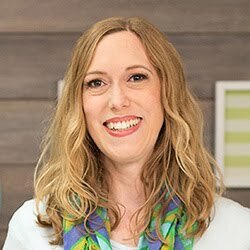 Visit these other Craftsy Paper Craft class instructor blogs. I promise you'll be glad you did. Happy National Scrapbook Day! **ETA: Comments for this post are now closed. Thank you for entering! Thank you for the chance to win a fabulous giveaway!!! Gorgeous project! Would love to play in your class! What a fun page. This has been a fun "hop" and a lot of inspiration. Thanks. 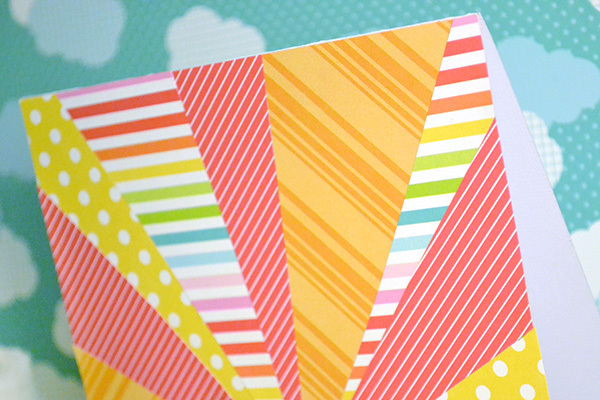 Love your bright, colorful card (I'm all about the brights myself!) And I had to laugh about the magic housecleaning fairy, I would love one of those myself for sure! Love your layout! Thx for the giveaway! Love the bright colors and fun design! Great projects - and great organization. i love the sunburst card! Would be super fun to win a spot in your class! Love the inspiration and the chance to get to know you better!